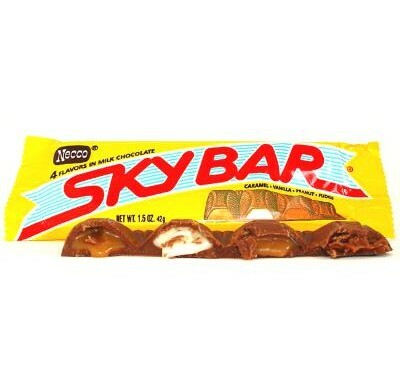 Sky Bar from Necco, the classic candy chocolate bar with everything: caramel, vanilla, peanut and fudge. Why settle for less in a chocolate candy bar? 24 individually wrapped candy bars in each box.